Beckman Coulter JA-21 Ultracentrifuge Rotor 21000 RPM 18-Tube Fixed Angle . New Life Scientific, Inc.
Our technician ran the rotor in a centrifuge and the test results are in the second picture in the photo gallery. It reached the manufacturers max RPM. "The JA-21, rated for 21 000 rpm, is a fixed angle rotor designed to centrifuge up to eighteen 10-mL tubes at a 40-degree angle to the axis of rotation. 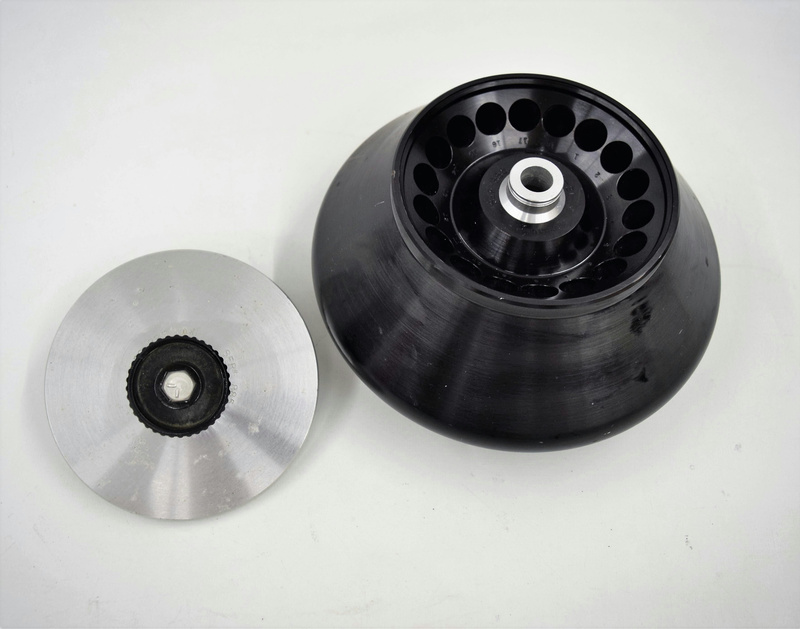 Used in Beckman Coulter J2 and J6 series and Avanti J series centrifuges, the rotor develops centrifugal forces that can efficiently pellet subcellular organelles, viruses, bacteria, mitochondria, chlorplasts, or algae."